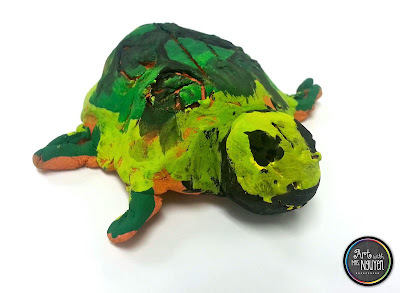 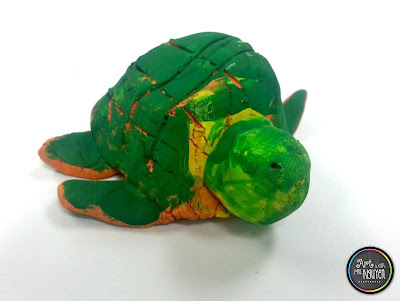 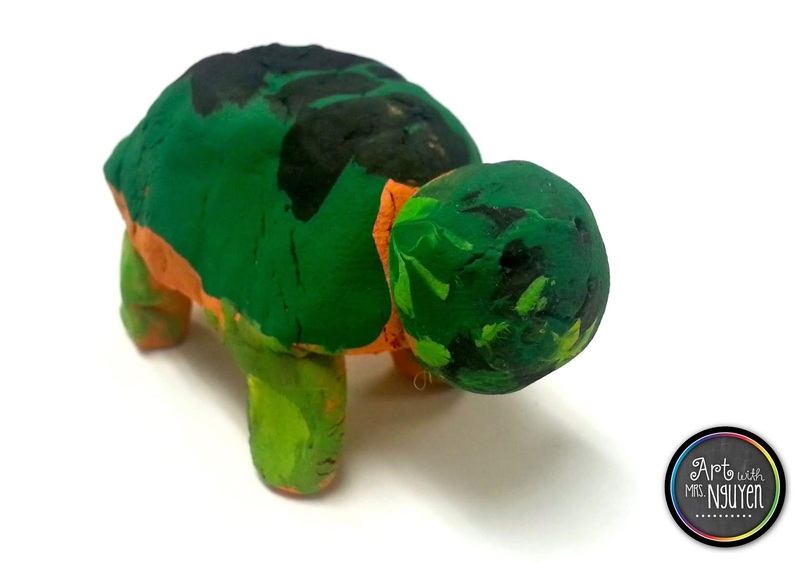 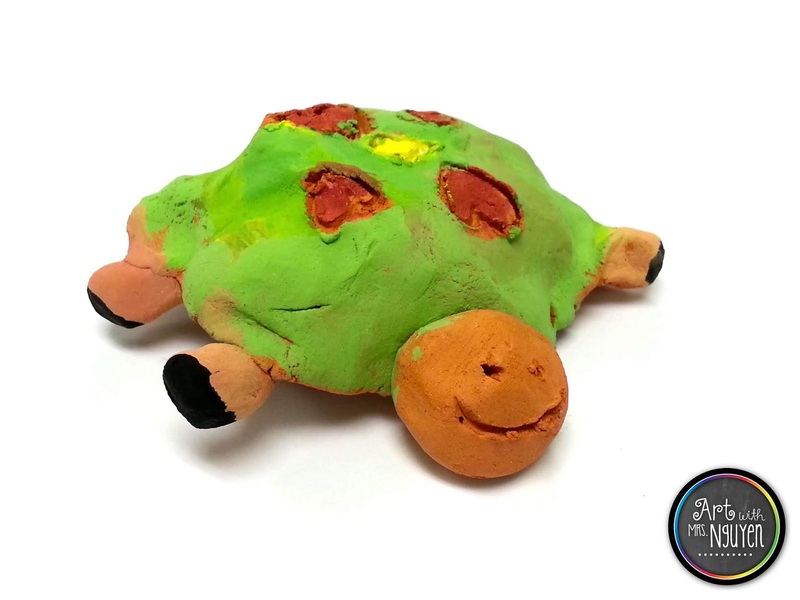 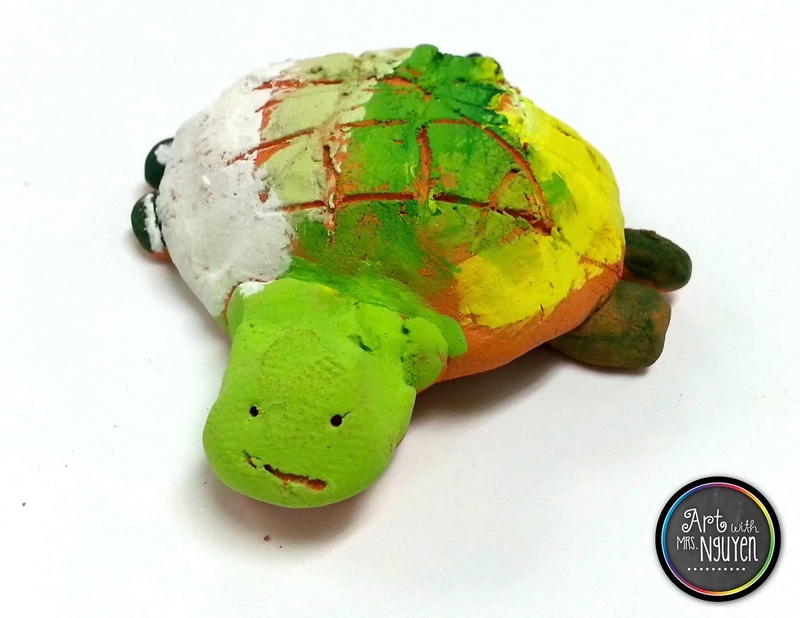 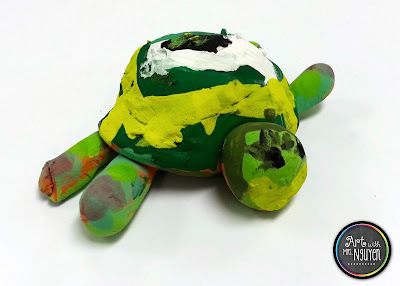 I wanted to do a quick one-day clay project with my 2nd graders which incorporated multiple building techniques, so I came up with this turtle project. 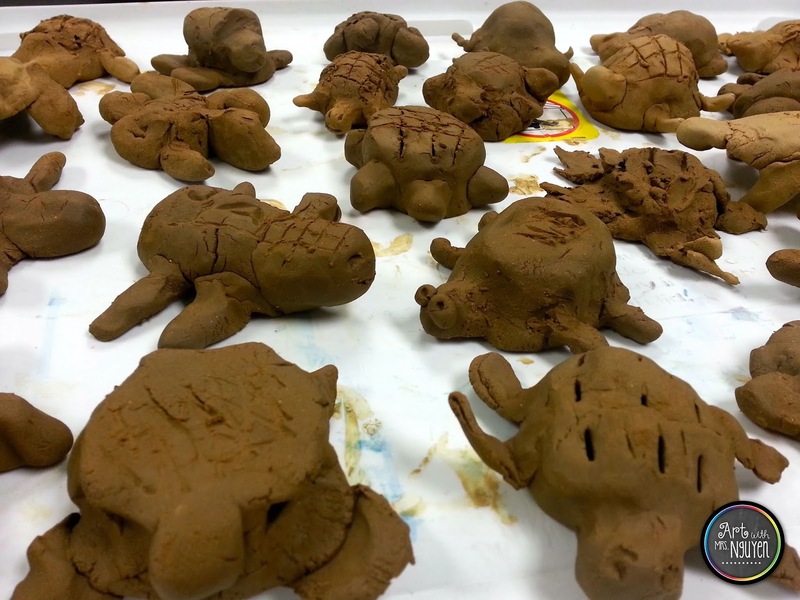 Took one 40-minute class from start to finish (including clay rules, demonstration, and student construction). 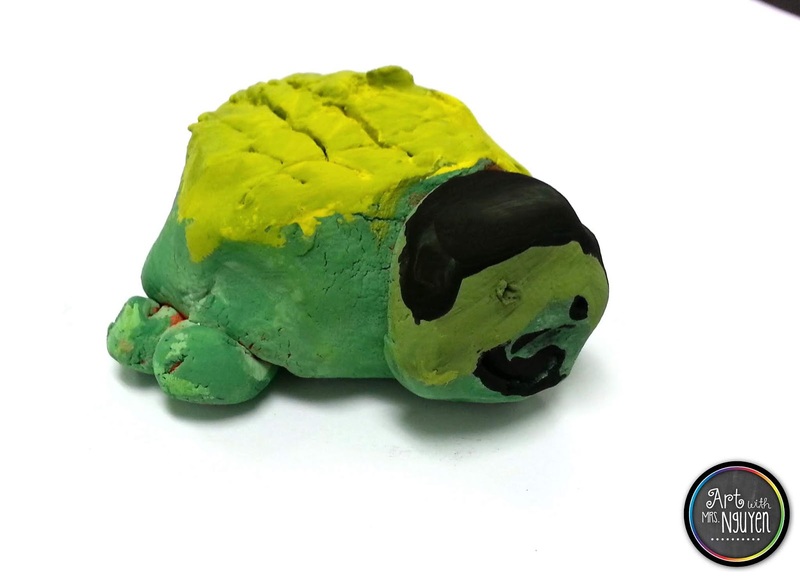 I gave each student a ball of clay then asked them to divide it into two parts (one slightly larger than the other). 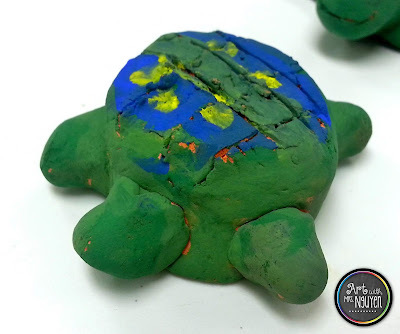 With the larger piece, I asked students to roll a ball and make a pinch-pot. Students were then asked to divide the other half into equal thirds. With one third, they rolled a ball and then followed my "4's of Clay" (score, slip, smoosh, smooth) to attach it as the head to the upside-down pinch-pot. 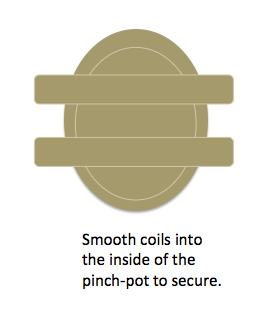 Then with the other two thirds, students rolled out short coils and attached them to the underside of the pinch-pot (to create legs). Finally, students added their initials to the inside of their pinch-pot body and then added additional details (like faces, patterns on the shell, etc.). 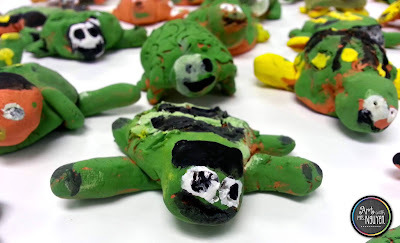 My clay this year was not the best quality I've ever worked with as it dried out VERY quickly (regardless of my efforts). 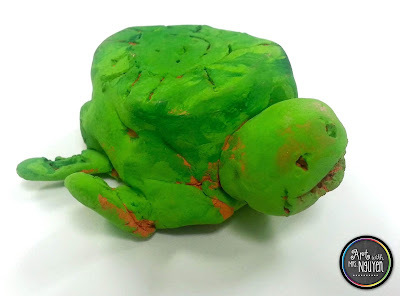 Hopefully next year I'll get some better quality clay so I can do something a little different.